Native Range: Europe, Asia, and Africa (Muenscher 1944; Gleason and Cronquist 1991; Crow and Hellquist 2000). Table 1. States with nonindigenous occurrences, the earliest and latest observations in each state, and the tally and names of HUCs with observations†. Names and dates are hyperlinked to their relevant specimen records. The list of references for all nonindigenous occurrences of Trapa natans are found here. Life history: each T. natans plant has 15 - 20 rosettes; each rosette can generate up to 20 seeds (Maryland Sea Grant 2012); seeds overwinter in the benthic sediments and germinate the following spring; seeds remain viable for up to 12 years (Swearingen et al. 2002). Means of Introduction: Typically introduced by aquarium release, escape from ornamental ponds, hitchhiking on waterfowl, or intentional plantings. Spreads either by the rosettes detaching from their stems and floating to another area, or more often by the nuts being swept by currents or waves to other parts of the lake or river (Bickley and Cory 1955; Mirick 1996; Hummel and Kiviat 2004). Established in Connecticut, Maryland, Massachusetts, New Hampshire, New Jersey, New York, Pennsylvania, Rhode Island, Vermont, and Virginia. Extirpated from Delaware and eradicated from the District of Columbia (Carter and Rybicki 1994). Reports from Kentucky and West Virginia USACE reservoirs were likely mistaken identities (L. Dodd, USACE-ERDC, pers. comm. 2017). Impact of Introduction: Trapa natans is a fierce competitor in shallow (<5m) waters with soft, muddy bottoms. Uncontrolled, it creates nearly impenetrable mats across wide areas of water (Winne 1950; Kiviat 1993). As immature water chestnut plants mature to the diameter of dinner plates over the growing season, dense packing and stacking of rosettes can occur, causing mats to be as much as a foot thick on top of the water column, as seen on the Nashua River in Nashua, New Hampshire, USA (Countryman 1978). In Vermont, USA, many previously fished bays of southern Lake Champlain are now inaccessible, and floating mats of T. natans can create a hazard for boaters (Bove and Hunt 1997). 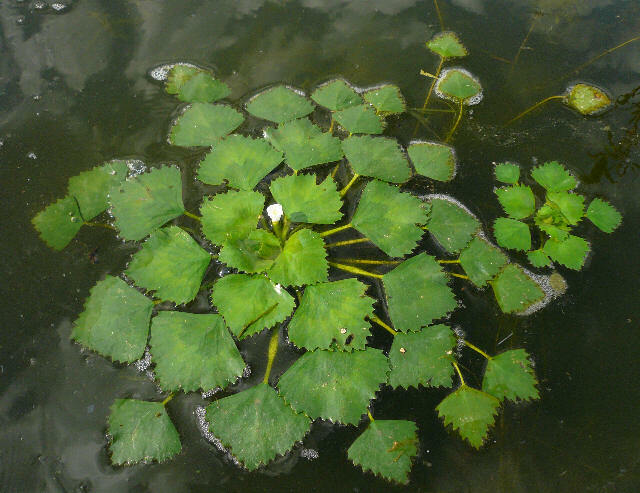 VDEC (2002) states that this noxious plant also severely limits the passage of light into the water, a critical element of a well-functioning aquatic ecosystem. It reduces oxygen levels, which may increase the potential for fish kills, and is of little value to wildfowl. When the plant occupies a site, most recreational activities such as swimming, fishing from the shoreline, and the use of small boats are eliminated or severely impeded (Bickley and Cory 1955). The primary economic costs related to T. natans are associated with the costs of chemical and mechanical control efforts (Kiviat 1993). It is also a human nuisance because mature T. natans nuts drift to shore where their sharp spines may hurt bare feet (Gwathmey 1945). Trapa natans does decrease dissolved inorganic nitrogen, potentially reducing eutrophication from runoff waters (Tsuchiya and Iwakuma 1993). It also accumulates heavy metals such as cadmium, nickel, and cobalt (USEPA 1989). Invertebrate, fish, bird, and mammal foraging habitat may be provided by T. natans. Inverts and fishes in Tivoli South Bay (Findlay et al. 1989; Yozzo and Odum 1993), blueback herring (Alosa aestivalis [Mitchill]) in Inbocht Bay (Coote et al. 2001), cedar waxwings (Bombycilla cedrorum Vieillot) in the Hudson River (Kiviat, pers. obs. ), and muskrats in the Sudbury, Potomac, and Hudson Rivers (Muenscher 1937; Winne 1950; Kiviat 1993) were a few of the taxa documented foraging on or within T. natans beds. Trapa natans has been valued for its nutrional and medicinal qualities in India, China, Hong Kong, Malaya, Thailand, and Russia (Hummel and Kiviat 2004). It was also tested and approved as a cattle feed supplement (Besha and Countryman 1980). Remarks: Unfortunately, an unrelated edible aquatic plant, Eleocharis dulcis (Burm.f.) Trin. ex Henschel, a sedge in the Cyperaceae, is also called water chestnut. The corm of E. dulcis is the familiar water chestnut, or Chinese water chestnut, sold in cans and commonly served in Chinese restaurants. Originally placed in Trapaceae, T. natans is now considered in the Lythraceae family based on molecular evidence (Graham 2005). Baldisserotto, C., L. Ferroni, E. Anfuso, A. Pagnoni, M.P. Fasulo, and S. Pancaldi. 2007. Responses of Trapa natans L. floating laminae to high concentrations of manganese. Protoplasma 231(1—2): 65—82. Batuik, R., R. Orth, K. Moore, W. Dennison, J. Stevenson, L. Staver, V. Carger, N. Rybicki, R. Hickman, S. Kollar, S. Bieber, and P. Heasly. 1992. Chesapeake Bay Submerged Aquatic Vegetation Habitat Requirements and Restoration Targets: A Techinical Synthesis. US Environmental Protection Agency, Annapolis, MD. Besha, J.A., and W.D. Countryman. 1980. Feasibility assessment of anaerobic digestion of European water chestnuts (Trapa natans L.). New York State Energy Research and Development Authority 80-13, Albany, NY. Bickley, W.E., and E.N. Cory. 1955. 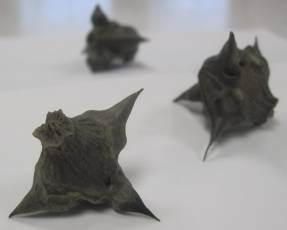 Water caltrop in the Chesapeake Bay. Association of Southeastern Biologists Bulletin 2:27-28. Bove, A., and T. Hunt. 1997. Water chestnut: An exotic plant invasion in Lake Champlain. Page 12 in Balcom, N.C, ed. Proceedings of the Second Northeast Conference on Nonindigenous Aquatic Nuisance Species, 18-19 April 1997, Burlington, VT. Connecticut Sea Grant College Program Publication CTSG-97-02. Groton, CT.
Campbell, S., P. Higman, B. Slaughter, and E. Schools. 2010. A Field Guide to Invasive Plants of Aquatic and Wetland Habitats for Michigan. Michigan DNRE, Michigan State University Extension, Michigan Natural Features Inventory. 90 pp. Caraco, N. F. and J. J. Cole. 2002. Contrasting impacts of a native and alien macrophyte on dissolved oxygen in a large river. Ecological Applications 12(5): 1496—1509. Carter, V., and N.B. Rybicki. 1994. Invasions and declines of submersed macrophytes in the tidal Potomac River and Estuary, the Currituck Sound-Back Bay system, and the Pamlico River Estuary. Journal of Lake and Reservoir Management 10(1):39-48. http://www.dtic.mil/dtic/tr/fulltext/u2/a293325.pdf#page=36. Center for Invasive Species and Ecosystem Health. 2015. EDDMapS: Early detection and distribution mapping system. The University of Georgia, Tifton, GA. http://www.eddmaps.org. Connecticut Aquatic Nuisance Species Working Group (CANSWG). 2006. Connecticut Aquatic Nuisance Species Management Plan. State of Connecticut Department of Environmental Protection. 117 pp. Coote, T.W., R.E. Schmidt, and N. Caraco. 2001. Use of a periodically anoxic Trapa natans (water-chestnut) bed by fishes in the Hudson River. Page 20 pp in Waldman, J.R., and W.C. Nieder, eds. Final reports of the Tibor T. Polgar fellowship program, 2000. Hudson River Foundation. New York, NY. Countryman, W.D. 1970. The history, spread and present distribution of some immigrant aquatic weeds in New England. Hyacinth Control Journal 8(2):50-52. Countryman, W.D. 1978. Nuisance Aquatic Plants in Lake Champlain. New England River Basins Commission, Burlington, VT.
Crow, G.E., and C.B. Hellquist. 2000. Aquatic and Wetland Plants of Northeastern North America. Volume 1. Pteridophytes, Gymnosperms and Angiosperms: Dicotyledons. Volume 1. The University of Wisconsin Press, Madison, WI. DeGoosh, K. 2009. Nor'Easter State Updates for Rhode Island. Northeast Aquatic Plant Management Society. Kingston, RI. Fall 2009:12. Ding, J., B. Blossey, Y. Du, and F. Zheng. 2006. Galerucella birmanica (Coleoptera: Chrysomelidae), a promising potential biological control agent of water chestnut, Trapa natans. Biological Control 36(1): 80—90. Falck, M. and S. Garske. 2003. Invasive Non-native Plant Management During 2002. Great Lakes Indian Fish & Wildlife Commission (GLIFWC), Odanah, WI. 68 pp. Field Museum. 2012. Field Museum of Natural History (Botany) Seed Plant Collection. Field Museum, Chicago, IL. http://www.gbif.org/dataset/90c853e6-56bd-480b-8e8f-6285c3f8d42b. Created on 07/11/2012. Accessed on 11/20/2015. Fernald M.L. 1950. Gray’s Manual of Botany. 8th ed. American Book Company, N.Y.
Findlay, S., K. Schoeberl, and B. Wagner. 1989. Abundance, composition, and dynamics of the invertebrate fauna of a tidal freshwater wetland. Journal of the North American Benthological Society 8(2):140-148. Gleason, H.A. 1957. The New Britton and Brown Illustrated Flora of the Northeastern U.S. and Adjacent Canada. New York Botanical Gardens, N.Y.
Gleason, H.A., and Cronquist. 1991. Manual of Vascular Plants of Northeastern United States and Adjacent Canada. second edition. The New York Botanical Garden, Bronx, New York. Graham, S.A., J. Hall, K. Sytsma, and S. Shi. 2005. Phylogenetic analysis of the Lythraceae based on four gene regions and morphology. International Journal of Plant Sciences 166(6):995-1017. Great Lakes and Mississippi River Interbasin Study Team, The. 2012. Inventory of Available Controls for Aquatic Nuisance Species of Concern: Chicago Area Waterway System. U.S. Army Corps of Engineers. 46 pp. Gunderson, J. L. and R. E. Kinnunen. 2004. Aquatic Invasive Species – Hazard Analysis and Critical Control Point (AIS-HAACP) Training Curriculum. Second Edition. Michigan Sea Grant, Minnesota Sea Grant. 91 pp. Gwathmey, J.H. 1945. Potomac River cleared of floating islands. Maryland Conservationist 22(1):21-23. Hijikata, Y., A. Yasuhara, and Y. Sahashi. 2005. Effect of an herbal formula containing Ganoderma lucidum on reduction of Herpes zoster pain: a pilot clinical trial. The American Journal of Chinese Medicine 33(4): 517—523. Hijikata, Y., S. Yamada, and A. Yasuhara. 2007. Herbal mixtures containing the mushroom Ganoderma lucidum improve recovery time in patients with Herpes genitalis and labialis. The Journal of Alternative and Complementary Medicine 13(9): 985—987. Hotchkiss, N. 1972. 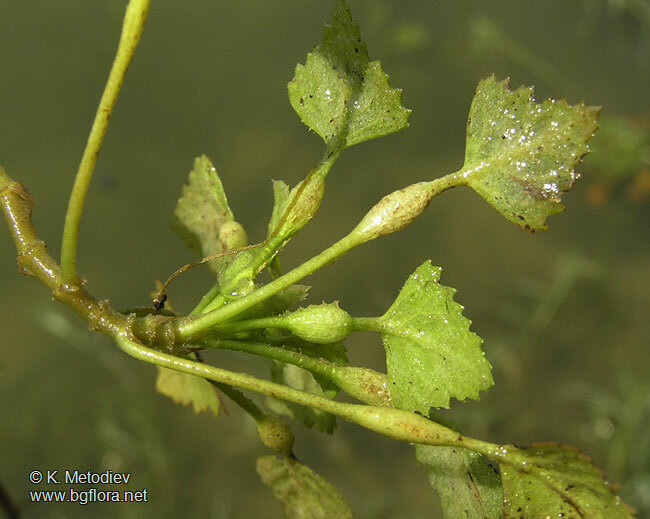 Common Marsh, Underwater and Floating-leaved Plants of the United States and Canada. Dover Publications, Inc, New York. Hummel, M., and E. Kiviat. 2004. Review of World Literature on Water Chestnut with Implications for Management in North America. Journal of Aquatic Plant Management 42:17-28. http://apms.org/wp/wp-content/uploads/2012/10/v42p17.pdf. Hunt, T. 2006. 2005 Water Chestnut Management Program: Lake Champlain and inland waters of Vermont. Aquatic Invaders 17(1):18-19. www.aquaticinvaders.org. iMapInvasives. 2015. iMapInvasives New York. iMapInvaives. www.nyimapinvasives.org. Created on 07/08/2015. Accessed on 07/08/2015. Indiana Department of Natural Resources (IN DNR). 2012. Aquatic Invasive Species: Water Chestnut. 3pp. Available http://www.in.gov/dnr/files/WATER_CHESTNUT.pdf. Invasive Plant Atlas of New England (IPANE). 2013. Water Chestnut. Available http://www.eddmaps.org/ipane/ipanespecies/aquatics/Trapa_natans.htm Accessed 2 May 2013. IPANE. 2001. Invasive Plant Atlas of New England (IPANE) at the University of Connecticut online database. http://invasives.eeb.uconn.edu/ipane/. Kiviat, E. 1993. Under the spreading water-chestnut. News From Hudsonia 9(1):1-6. Kornijów, R., D.L. Strayer, and N. F. Caraco. 2010. Macroinvertebrate communities of hypoxic habitats created by an invasive plant (Trapa natans) in the freshwater tidal Hudson River. Fundamental and Applied Limnology Arhiv für Hydrobiologi 176(3): 199—207. Lui, K., M. Butler, M. Allen, E. Snyder, J. da Silva, B. Brownson, and A. Ecclestone. 2010a. Field Guide to Aqautic Invasive Species: Identification, collection and reporting of aquatic invasive in Ontario waters. Minstry of Natural Resources, Ontario, Canada. 201 pp. Lui, W., J. Zhang, C. Zhang, Y. Wang, and Y. Li. 2010b. Adsorptive removal of Cr (VI) by Fe-modified activated carbon prepared from Trapa natans husk. Chemical Engineering 162(2): 677—684. Madsen, J.D. 1990. Waterchestnut (Trapa natans L.) research in Watervliet Reservoir, 1989 report. Rensselaer Freshwater Institute, Rensselaer Polytechnic Institute, Troy, NY. Mandal, S. M., L. Migliolo, O.L. Franco, and A. K. Ghosh. 2011. Identification of an antifungal peptide from Trapa natans fruits with inhibitory effects on Candida tropicalis biofilm formation. Peptides 32(8): 1741—1747. Maryland Sea Grant. 2012. Invasive Species in the Chesapeake Watershed: WATER CHESTNUT Trapa natans L. Available http://www.mdsg.umd.edu/issues/restoration/non-natives/workshop/water_chestnut.html. Accessed 2 May 2013. Methe B.A., R.J. Soracco, J.D. Madsen, and C.W. Boylen. 1993. Seed production and growth of water chestnut as influenced by cutting. Journal of Aquatic Plant Management 31:154-157. Midwest Invasive Species Information Network (MISIN) and Michigan Natural Features Inventory (MNFI). 2013. Water chestnut (Trapa natans). Available http://www.misin.msu.edu/facts/detail.php?id=185. Accessed 2 May 2013. Mills, E.L., J.H. Leach, J.T. Carlton, and C.L. Secor. 1993. Exotic species in the Great Lakes: a history of biotic crises and anthropogenic introductions. Journal of Great Lakes Research 19(1):1-54. Mirick, P.G. 1996. Goose grief. Massachusetts Wildlife 46(2):15-16. Mishra, S., M. Mohanty, C. Pradhan, H.K. Patra, R. Das, and S. Sahoo. 2013. Physico-chemical assessment of paper mill effluent and its heavy metal remediation using aquatic macrophytes-a case study at JK Paper mill, Rayagada, India. Environmental Monitoring and Assessment 185(5): 4347—4359. Muenscher, W.C. 1937. Water chestnut. Pages 234-243, 246 in A biological survey of the lower Hudson watershed, supplement to 24th annual report (1935). New York Conservation Department. Albany, NY. Muenscher, W.C. 1944. Aquatic Plants of the United States. Comstock Publishing Company, Inc/Cornell University, Ithaca, NY. Naylor, M. 2003. Water Chestnut (Trapa natans) in the Chesapeake Bay Watershed: A Regional Management Plan. Maryland Department of Natural Resources. 35 pp. New Hampshire Department of Environmental Services. 2015. Exotic Aquatic Plant Infestations in New Hampshire. http://des.nh.gov/organization/divisions/water/wmb/exoticspecies/exotic_plant_map.htm. Created on 07/01/2015. Accessed on 02/03/2016. O'Neill Jr., C. R. 2006. Water Chestnut (Trapa natans) in the Northeast. New York Sea Grant. 4 pp. Ontario's Invading Species Awareness Program (OISAP). 2013. European Water Chestnut Trapa natans. Available http://www.invadingspecies.com/invaders/plants-aquatic/european-water-chestnut/. Accessed 2 May 2013. Patten, B.C. 1956. 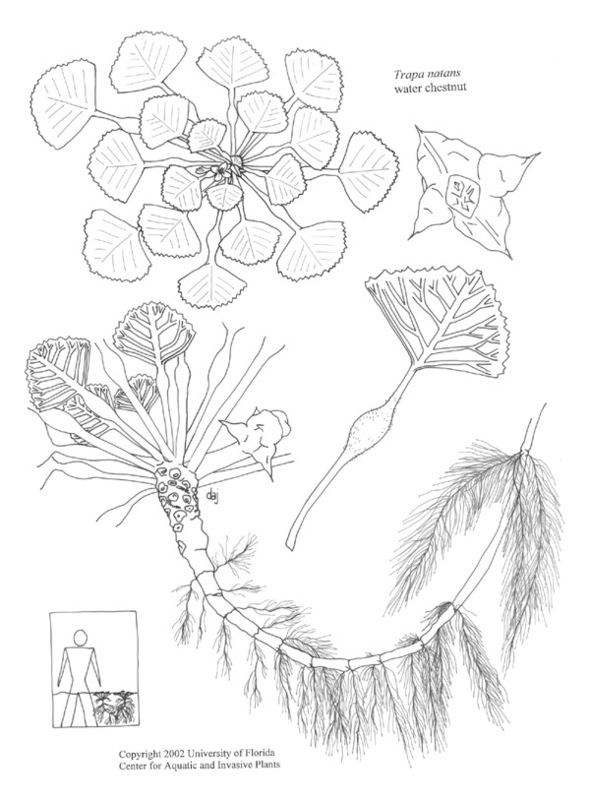 Notes on the biology of Myriophyllum spicatum L. in a New Jersey Lake. Torrey Botanical Club 83(1):5-18. Pemberton, R. W. 2002. Water Chestnut. Invasive Plant Research Laboratory, U.S. Department of Agriculture, Agricultural Research Service, Ft. Lauderdale, FL. Available http://www.dnr.state.il.us/stewardship/cd/biocontrol/3waterchestnut.html. Accessed 2 May 2013. Pennsylvania Department of Conservation and Natural Resources (PADCNR). n.d. Invasive Plants in Pennsylvania: European Water Chestnut Trapas natans L. 2 pp. Pennsylvania Flora Database. 2011. Pennsylvania Flora Project. Morris Arboretum at the University of Pennsylvania (MOAR), Philadelphia, PA. http://www.paflora.org. Rai, U. N. and S. Sinha. 201. Distribution of metals in aquatic edible plants: Trapa natans (Roxb.) Makino and Ipomoea aquatica Forsk. Environmental Monitoring and Assessment 70(3): 241—254. Rawat, S. K., R.K. Singh, and R. P. Singh. 2012. Remediation of nitrite contamination in ground and surface waters using aquatic macrophytes. Journal of Environmental Biology 33(1): 51—56. Seidler, T. (curator). 2015. University of Massachusetts Herbarium, Amherst. University of Massachusetts, Amherst, MA. https://www.bio.umass.edu/biology/research/herbarium. Smithsonian Institution. 2014. National Museum of Natural History specimen collections. Accessed via GBIF data portal, http://www.gbif.org/dataset/5df38344-b821-49c2-8174-cf0f29f4df0d. Smithsonian Institution, Washington, DC. http://www.gbif.org/dataset/5df38344-b821-49c2-8174-cf0f29f4df0d. Created on 03/10/2014. Accessed on 05/19/2014. State of Rhode Island Department of Environmental Management, Office of Water Resources. 2015. Aquatic Invasive Species: (AIS) Plants Documented in RI Freshwaters. http://www.dem.ri.gov/programs/benviron/water/quality/surfwq/aisplant.htm. Created on 04/29/2015. Accessed on 06/26/2015. Strayer, D. L., C. Lutz, H.M. Malcom, K. Munger, and W. H. Shaw. 2003. Invertebrate communities associated with a native (Vallisneria americana) and an alien (Trapa natans) macrophyte in a large river. Freshwater Biology 48:1938—1949. Sturtevant, E. L. and U. P. Hedrick. (ed). 1972. Sturtevant's Edible Plants of the World. Dover Publications. 775 pp. Swearingen, J., K. Reshetiloff, B. Slattery, and S.Zwicker. 2002. Plant Invaders of Mid-Atlantic Natural Areas 82. pp National Parks Service and U.S. Fish & Wildlife Service. Available http://www.invasive.org/eastern/midatlantic/mysp.html. Accessed 25 April 2013. Titus, J.E. 1994. Submersed plant invasions and declines in New York. Lake and Reservoir Management 10(1):25-28. Tsuchiya, T., and T. Iwakuma. 1993. Growth and leaf life-span of a floating-leaved plant, Trapa natans L., as influenced by nitrogen flux. Aquatic Botany 46(3-4):317-324. U.S. Army Corps of Engineers (USACE). 2011. Aquatic Herbicides. 8 pp. U.S. Army Corps of Engineers (USACE). 2013. Invasive species profile system. US Army Corps of Engineers, Vicksburg, MS. http://corpslakes.usace.army.mil/employees/invasive/isps/index.cfm. U.S. Environmental Protection Agency (USEPA). 1989. Superfund record of decision, Marathon Battery, NY, third remedial action - final. New York State Department of Environmental Conservation, Albany, NY. U.S. Environmental Protection Agency (USEPA). 2000. Significant Ongoing and Emerging Issues. 20 pp. Available http://www.epa.gov/lakeerie/lamp2000/Section11.pdf. University of Alabama Biodiversity and Systematics. 2007. Herbarium (UNA). University of Alabama, Tuscaloosa, AL. http://www.gbif.org/dataset/84f9770e-f762-11e1-a439-00145eb45e9a. Created on 04/03/2007. Accessed on 11/20/2015. University of Connecticut. 2011. CONN. University of Connecticut, Storrs, CT. http://www.gbif.org/dataset/5288946d-5fcf-4b53-8fd3-74f4cc6b53fc. Created on 09/08/2011. Accessed on 11/20/2015. Wells, N.M. 2015. Cranbury: invasive water chestnut species eludes capture. TAPinto.net. New Providence, NJ. 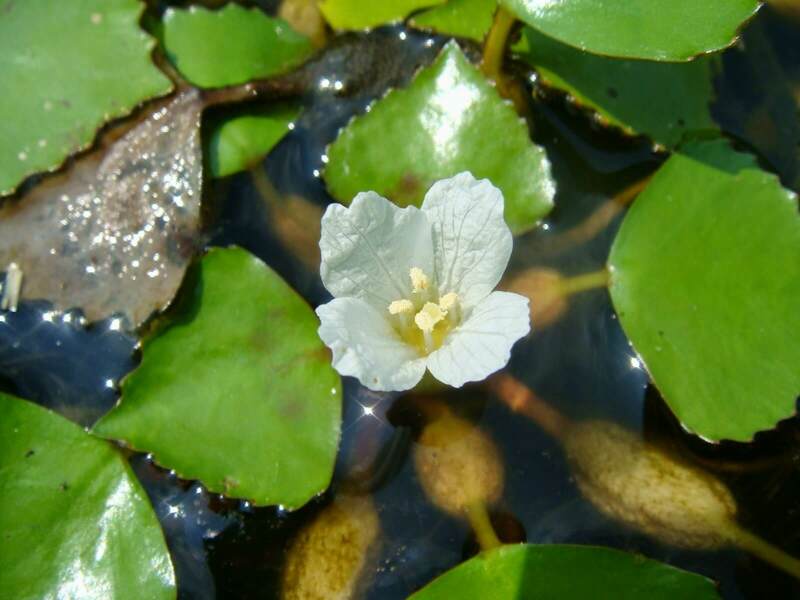 https://www.tapinto.net/towns/south-brunswick-cranbury/sections/garden-state-green/articles/cranbury-invasive-water-chestnut-species-eludes. Created on 06/30/2015. Accessed on 07/06/2015. Wibbe, J.H. 1886. Notes from Schenectady. Bulletin of the Torrey Botanical Club 13:39. Winne, W.T. 1950. Water chestnut: A foreign menace. Bulletin to the Schools 36(7):230-234. Yozzo, D.J., and W.E. Odum. 1993. Fish predation on epiphytic microcrustacea in Tivoli South Bay, a Hudson River tidal freshwater wetland. Hydrobiologia 257:37-46. Aquatic Invasive Plants - New York Sea Grant. Author: Pfingsten, I.A., L. Cao, and L. Berent.